Erin Eberly is a partner in Katz, Sapper & Miller’s Business Advisory Group and has been with the firm since 2002. Erin’s background includes advising clients in a wide variety of accounting, tax, and business matters. She has extensive experience in tax planning, tax compliance, financial statement analysis, and forecasts and projections. Erin specializes in planning and structuring related to taxation for partnerships and LLCs. Additionally, she has been involved in assisting clients with growth opportunities and financing, including experience with merger and acquisition transactions. Her industry expertise is in technology, hospitality, wholesale, retail, manufacturing, and construction. 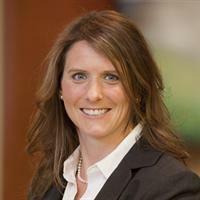 Erin is co-chair of the firm’s Technology Industry Services Group as well as a member of the firm’s Restructuring and Bankruptcy Services Group. Erin received both a Bachelor of Arts degree in accounting and a Master of Accountancy degree from Manchester College. Erin is a member of the American Institute of CPAs and the Indiana CPA Society. She is a founding board member and vice president of Executive Women in Finance and also serves on the board and finance committee of The Julian Center.